The Safetyweb Network works throughout Polk County, WI to increase health care coverage access and retention among the uninsured and underinsured. The Safetyweb Network seeks to increase access to and retention of health care coverage and benefits among the uninsured and underinsured residents of Polk County and among Network patients. Through training, technical support and technology innovation, the Safetyweb Network will become a long term, formal, sustainable, integrated and active network that will provide patients in Polk County, Wisconsin with the most precisely optimized current and future health care coverage of any county in the U.S.
Mike Rust, director of the Safetyweb Network and chief operating officer of ABC for Rural Health, was interviewed by NCHN’s director of member services to share information on the network’s characteristics, key learnings, accomplishments, and challenges. A: An important threshold issue to note is that the network’s primary activity is the delivery of Health Benefits Counseling services aimed at helping network partners’ patients get and keep health care coverage. While networking activities stretch back to 1991, we formalized the network in 2009 when three local health medical centers (all CAHs now) identified a need to be more responsive to community requests for a free clinic operation. Rather than open a free clinic in those three communities, the group created a county-wide Chronic Care Plus program. Chronic Care Plus served low-income, uninsured patients with chronic diseases who could not always make appointments because they lacked insurance. In the Chronic Care Plus program, providers agree not to charge patients for these visits and clinics’ room charges and associated fees. This essentially mainstreamed this targeted group into the regular patient population. The health department and ABC for Rural Health (a county–based, nonprofit public interest advocacy firm dedicated to connecting individuals to health care coverage throughout rural Wisconsin) agreed to provide patient intake and Health Benefits Counseling services for the Chronic Care Plus program. Chronic Care Plus operated for about 2.5 years before Affordable Care Act coverage emerged as an option for some patients. At that point, we focused attention on enhancing our capacity to provide network-wide health benefits counseling services. That decision helped initiate the Safetyweb Network. We have working agreements as a network, but we are not incorporated. Right now, participation is really defined by participating in the Network Development grant project. Part of this project is looking at how we want to structure ourselves and building consensus on what we are going to look like in the future. Our members currently include one CAH, a county health department, a behavioral health clinic and ABC for Rural Health. We may expand to other counties, so we would like to have additional CAHs and other health care providers. Q: What recent efforts has the network been engaged in? A: We are preparing to test and launch new decision support software that aligns with our Health Benefits Counseling services. This should make the process easier for network partners to help patients align and optimize health coverage. The software uses data from a guided interview to help patients identify and optimize coverage opportunities. In a sense, we say to a patient, “You have a strong probability that you’re eligible for such-and-such program, and here’s what you need to do.” We really appreciate that the Network Development grant from HRSA provides an important opportunity to reimburse providers testing the system and to see how it affects their workflow with patients. We’ve focused a lot of effort on developing trainings and archiving a large selection of “on demand” webcasts for our partners to view at their convenience. We recently conducted a live and web-based training event that provides a good example of our topic areas. It was called “Who’s Whose” and focused on helping providers, advocates, and other organizations correctly assess household makeup, count incomes, and assign lines of legal responsibility for Medicaid and the ACA. We also included presentations on the state’s Medicaid Purchase Plan, on coverage for incarcerated persons, and on the final rules for Mental Health Parity and Medicaid and for Medicaid Managed Care. A: An original partner underwent change in ownership and wanted to limit certain local projects. Another CAH felt they lacked sufficient Patient Advocate resources to participate in the Safetyweb Network. Despite that setback, a new opportunity emerged when the county behavioral health clinic expressed interest in participation. Having them join has opened up some different doors and possible financial revenue options. Q: What are some of the obstacles and advantages of working in your rural area? A: An interesting point is that some of our challenges parallel the issues faced by urban areas. Certain providers do not know about important programs like HealthCheck (a federal program called EPSDT that guarantees access to health services for kids in Medicaid and BadgerCare). I’m sure it’s not only a rural problem, but it may be more noticeable since there are far fewer providers. We do face some workforce issues. For us as advocates, this is particularly noticeable in the mental health arena. The kinds of providers Medicare pays for mental health are not as available in our rural areas as are other non-Medicare therapists—professional counselors, marriage and family therapists, etc.—and we are already a health professional shortage area. Another challenge is rural providers have limited staffing, which makes it difficult for them to attend meetings. We are trying to deal with this by meeting more via teleconference. On the positive side, I’ve noticed a lot of capacity for collaboration that doesn’t have as many bureaucratic layers. We usually can connect to local leadership. This is partly due to more social overlap with professional roles. I’m likely to encounter someone who coached hockey or soccer or had a kid in the same activities at the same time I did. People tend to overlap in their community connections. A: For me, it is always challenging to bring other organizations along through the building stages. I don’t like to bother people and tend to think about gathering leadership when there’s really something happening or something new. Ultimately, it’s harder to engage people if they haven’t been part of the less jazzy stages along the way. So my advice is don’t wait until decision-making times. 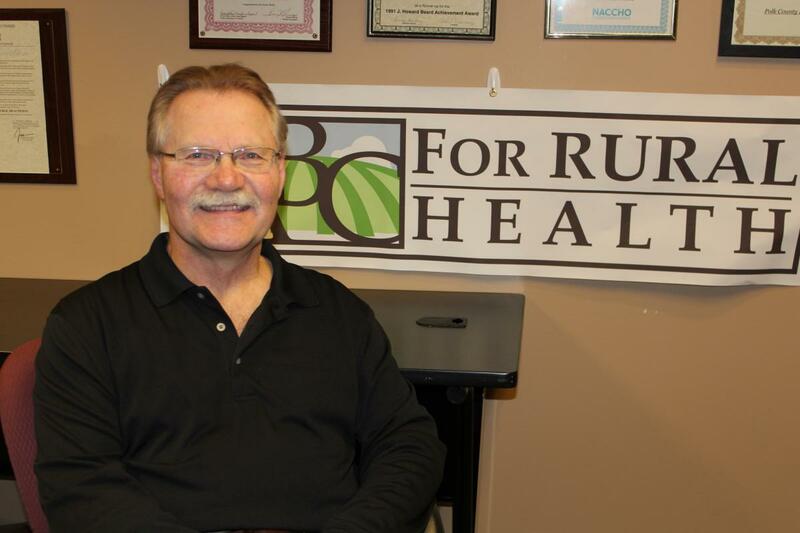 Mike Rust, director of the Safetyweb Network in Polk County, Wisconsin, is a Health Benefits Counselor and pioneered the development and practice of health benefits counseling.